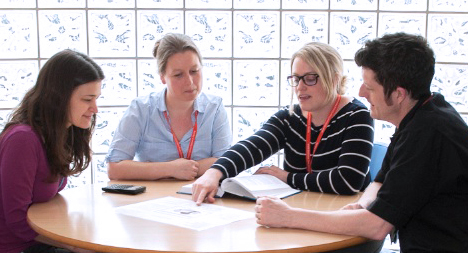 The study, supported by the NIHR Joint Translational Research Collaboration, had a target of recruiting 206 patients from hospitals across the UK and Netherlands, and this month they announced that they have successfully completed recruitment. The randomised, double blind, placebo-controlled clinical trial aims to determine whether rheumatoid arthritis (RA) can be prevented if therapy is given to individuals at high risk of developing the disease. A patient is defined as high risk if there is a presence of autoantibodies in the blood, together with joint symptoms (pain but not joint swelling). Cambridge will be one of the BRC’s taking part in the study. The drug, called abatacept, is already licensed for use in patients with established rheumatoid arthritis. The study is investigating the feasibility, acceptability and effectiveness of a 12 month course of therapy with abatacept. The results from this trial will provide valuable insight into the “at risk” state and whether this intervention is effective. The study has benefited greatly from the support of many patients, patient focus groups and the National Rheumatoid Arthritis Society (NRAS), highlighting the enthusiasm and willingness of the Rheumatoid Arthritis community to explore new approaches to finding a cure. The researchers will also investigate immune and inflammatory responses before, during and after therapy with abatacept in order to better understand the immune system at the very earliest detectable stages of the disease.